Program #AHME001. Recorded in Boston, MA on November 17, 1990. Eqbal Ahmad examines the origins of the current Gulf crisis. He presents an indigenous perspective that provides valuable insights into Saddam Hussein’s actions, the politics of oil, the role of the U.S. media, Israel and the Palestinian issue. Ahmad is a passionate and incisive speaker. His analysis is virtually excluded from mainstream media coverage. As the possibility of war increases, Americans urgently need alternative information. Eqbal Ahmad was Professor Emeritus of International Relations and Middle Eastern Studies at Hampshire College in Amherst, Massachusetts. He had an extraordinary life. He was born in Irki, Bihar, to an Indian Muslim landowning family. His father was murdered because he was parceling out land to peasants. Upon the partition of India in 1947 he went to Pakistan. He came to the U.S. to attend Princeton. He was in Algeria during the revolt against French rule. For many years he was managing editor of Race and Class. His articles and essays appeared in The Nation and other journals throughout the world. He wrote a weekly column for Dawn, Pakistan’s oldest English newspaper. He was one of the the most original and influential anti-imperialist thinkers of his era. He was a leading figure in the anti-Vietnam War movement. He was a remarkable and persuasive orator. As a teacher, he was mentor and inspiration to many. 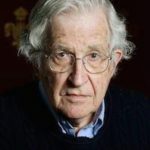 He was a close ally of Edward Said, Noam Chomsky and Howard Zinn. Edward Said called him “an intellectual unintimidated by power or authority.” Confronting Empire and Terrorism Theirs & Ours are the two books he did with David Barsamian. 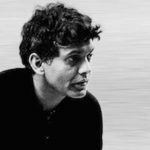 Eqbal Ahmad died in Islamabad on May 11, 1999.